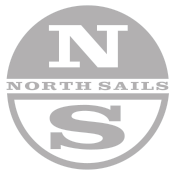 North Sails makes fast and versatile sails for the Randmeer class, manufactured using the most advanced technology and highest quality materials in the industry. Our Randmeer experts are available to help you get the most out of your North Sails product offering sound advice, tuning information and expertise. All Purpose The North Sails RM-1B mainsail is designed to perform in all wind conditions. Its construction is forgiving and easy to trim, giving a smooth and even distribution of shape. All Purpose The North sails G-1B is an all-purpose genoa built with a radial foot which distributes the loads more evenly in the foot of the sail. The DS-1 is our all-purpose spinnaker, consistently fast throughout the wind range. Because of its radial construction this sail will hold its shape longer and will outlast the performance of any cross-cut design. Manufactured from Superkote 75 spinnaker cloth.